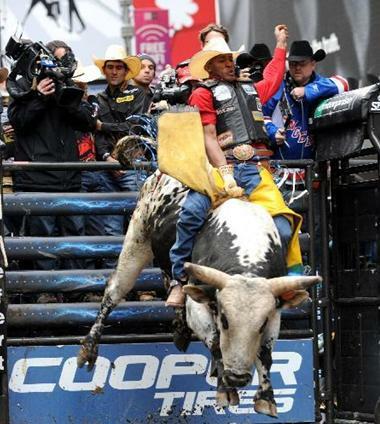 Fans of rodeo in Sanya will be treated to a new bull riding event this year. According to the press conference launched by Hainan Culture Exchange Promotion Association and the United States Professional Rodeo Association, the headquarter of International Bull Riding Sports will be set up in Sanya and the contest is expected be held at Sanya Sports Stadium in June. "We are confident about Hainan’s unique tourism market and want to take it as an opportunity for the rodeo association to expand the sport to other regions in China. The project will draw people who appreciate the event and enjoy bull riding, said chairman of Professional Rodeo Association. The event will last for 6 days in Sanya and continue to stage in other cities like Shenzhen and Shanghai. The event will bring top professional bull riders from United States and some excellent bulls from Australia and America.